When it comes to leaving a big impression, many people think of tile flooring first. 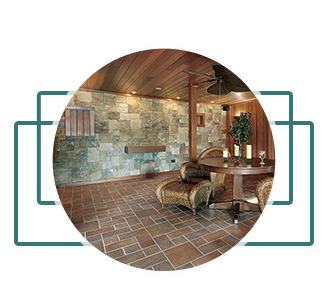 Used both inside the home and out, tile flooring has a wide range of applications. As one of the most versatile flooring options, our tile choices come in a variety of styles and colors. Often the statement piece of the room, tile has become one of the most popular flooring choices for those who are looking for durable, lasting beauty. Both stain and scratch resistant, tile can be used in any room. Also, when you choose to work with 2 Day Flooring, we make tile design and flooring installation easy. Compared to wood and laminate, tile is easy to maintain, is hypoallergenic (unlike carpet), and increases your property value. A timeless decision, we are well-versed and experienced in tile flooring application and its design options. From the kitchen to the bathroom, even on your outdoor deck, tile flooring easily changes the dynamic of any area. Making our process as convenient and straightforward as possible, our professional team provides you with prompt and effortless flooring services. Working closely with you throughout the entire process, we make your flooring installation our top priority, striving for excellence and exceeding your expectations. Whether you are looking for tile to be installed in just one room or your entire house, we go the extra mile to ensure that your needs are met. To find out more about our tile flooring options, and to speak with a professional about your tile installation, get in touch with us today. Tile flooring is something that is featured in most homes around the Tampa area. The consistent cool feel of tile beneath your feet is something that can keep you feeling fresh when you are overheated from the Florida heat. As we covered above, tile flooring can leave a big impression on people when they begin shopping. There are so many different types and styles that it can be overwhelming for the first time homeowner or even for people who have owned their home for years. It’s vital that you consult with an expert to help you create the vision you have in your head. As a scratch and stain resistant surface, tile flooring is a great option because of how efficient it is. It’s also a versatile option and can go in many different rooms, especially in a Tampa home. At 2 Day Flooring, we want to help you get the most from your flooring installation experience. Whether you want a new look in your home or outside of it, we’re here to answer any questions you may have about flooring or installation. You have expectations of your home. You want it to look a certain way. You want it to feel a certain way. When you get flooring installation, it’s most likely important for you to have flooring that will bring out the little nuances around your home. If you choose a cerulean shade of tile, then it’s probably to bring some cooler tones to your home. If you choose a lemon tone of tile, then you want to bring some sunshine to your Tampa home — it is the sunshine state after all. You have certain expectations about tile and we want to help you identify and bring them out. The first question you’ll want to ask yourself as you start this process is what are you looking for? Presumably, if you’re looking into tile flooring installation, then you already have the room picked out that you want to renovate. However, if you aren’t sure of the room that you want to renovate, but you know that you want to add something different with tile flooring, then skip down and read about The Rooms That Tile Flooring Would Look Best. Since you already have the room picked out, you won’t have to think about the room you want to add a little something extra to; however, you will need to consider what tone and style you want to bring out in the room. Do you want a home that’s filled with cooler or warmer tones? Do you want a stain-resistant porcelain tile or a mosaic tile? Are you looking for a more eccentric style? These are all important questions you should ask yourself before you even start searching around for a tile installation company. You’ll want to identify the style you want to go for in the room you are renovating. If it’s the bathroom and it’s smaller, then you’ll want to go with lighter colors to bring a little depth to the lavatory. If you are redoing the back patio, then you’ll want to create an area that’s durable as well as stylish. You have certain expectations of the room you want to redo, so it’s vital that you identify what you’re looking for to meet the expectations you have in your head. At 2 Day Flooring, we can guide you and inform you, but you need to know what you want in your residence. Keep in mind that if you have absolutely no idea, then we can always show you our work to help you see the many options you have in front of you. You may be wanting a change, but you’re not 100 percent sure what you’re looking for in your home. Sometimes, a change can be good because you are able to get a new feng shui in your residence or if you don’t believe in the vibes of a room, then you can do an installation to add a little something extra to your house. Keep in mind that there are areas of your home that look better with tile flooring and rooms that do not, which we’ll touch on below. If you’re not sure what rooms in your home would look great with tile, but you’re positive that you want tile, then we’ll help you figure out the right rooms that would look great with this flooring option. 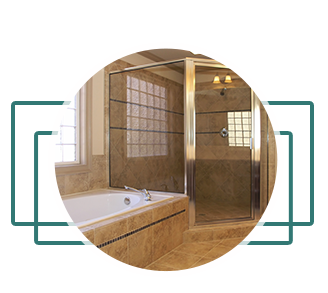 Bathrooms: With so much water, tile is a perfect flooring option for the lavatory. You can pick tiles such as porcelain to add a little depth and brightness to the bathroom or another great option is the mosaic tile to add some dimension. Laundry rooms: If you’ve ever had problems with your washer, then you know how detrimental it is to have flooring that won’t warp because of a water spill. Laundry rooms are the perfect room for tiles because you never know when your washer might become a little spastic. In this room, you’ll want to try porcelain or even vinyl for a less pricey option. Family rooms: Instead of putting down carpet or hardwood flooring, why don’t you try tile in your family room? Since it’s Florida, you don’t have to worry about cold toes on a winter day, but you can add a large area rug over your tile to add a little diversity to your room once you’ve changed the flooring. Porch: A porch is a fantastic option for tile flooring. While it’s a little challenging because of how exposed your porch may be, with the combination of intense Florida sunshine, the coolness of the tile will keep you comfortable. 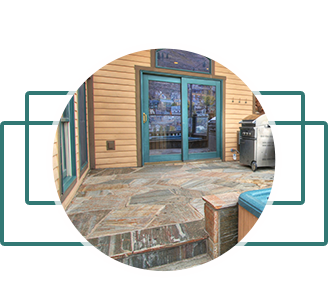 For the porch, some options you should check out are stone tile flooring and engineered wood to add a little warmth. Sunroom: If you have a sunroom, then tile flooring will add something a little extra to the room. The sunroom will look great in ceramic because of the casual look it can provide for your room. If you want a more classy look, then porcelain is a great option as well. Basement: If you’re looking to finish your basement, then the chance to add some tile is the right option. Tile in the basement will eliminate any issues if you have flooding problems or if you keep your washer on the lowest floor, then you won’t have to worry about water destroying your tile. Tile in the basement is also a great option because you won’t have cold feet due to the warm Florida weather. Kitchen: The kitchen is one of the best places to put tile because accidents happen all of the time. Whether you have little kids who want to bake with you or you are accident prone, tile in the kitchen is an excellent option because the cleanup process won’t be a nightmare if you spill something on the floor. Mudroom: Dirt, debris, and grime all make their way into your home and it can be difficult to eliminate if you have carpeting or a nuisance if you have hardwood flooring. With tile flooring in a mudroom, you won’t have to spend time cleaning up when you could just quickly sweep up the filth. Porcelain tile is a great option for mudrooms, especially because of the high traffic in the room. As flooring experts in the Tampa area, we strive to provide you with information that you need to make the right choice for your home. Whether you want an exquisite look or a classic one, our tile flooring experts will help you figure out what you want in your house. If you want to redo one room or the entire house, we’ll offer you advice about what may look great in the space while staying within your budget. We want to exceed your expectations with our work and we do that by talking to you to figure out what you’re looking for in your house. 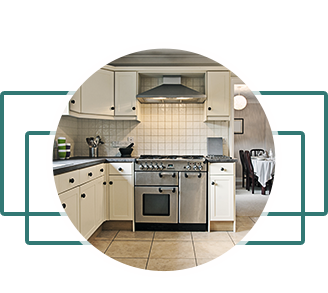 When the room or the home is finished, we want to ensure that you’re satisfied with the changes in your home. We’ll work with you to figure out the best flooring for your home because of the assortment of options we can provide you. As a Top Rated Local® Flooring Service, we are trusted experts that specialize in flooring sales and installation. What sets us apart is that we’ll communicate with you during the entire process while providing superior customer service. If you’re interested in a free in-home estimate, then it’s time to contact 2 Day Flooring. Everyone loves a beautifully designed room with some tile flooring to cool you down from the Florida heat, especially in a Tampa home. Tile flooring has a lot of advantages. If you’ve been considering a renovation of your home with tile flooring installation, then you’ve come to the right place. 2 Day Flooring is a go-to resource for flooring. Trying to figure out what you want for the floors in your home can be a tedious process. Any big project like this should have thorough research done to help you figure out if this is what you want for your home. Your house should be a place that you find comfort in. Coming home should be a relief. It should be an escape from your daily activities and by picking the right type of tile flooring, you’re able to obtain that feeling of solace when you walk through the door and into your own domain. 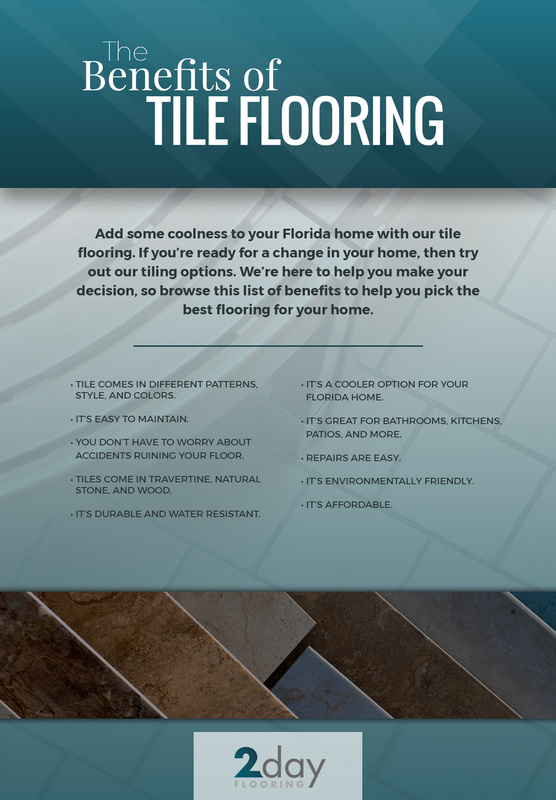 Here at 2 Day Flooring, we want to inform you about the advantages of tile flooring in your Tampa home. By addressing what you can expect with tile, you can decide if this is the right step for your home. One of the best advantages of tile is that it’s water resistant. 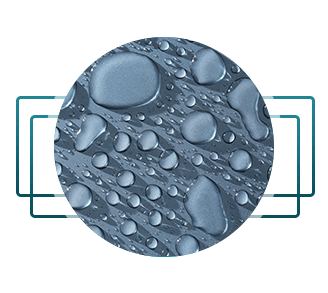 No matter if you get ceramic tiles or another type of tile, you can expect it to be water resistant. The simple fact that it is water resistant is what makes it such a versatile option in a variety of different rooms. As we covered above, tile flooring is a great option for a majority of areas in your home, especially since you live in Florida. With the Florida heat and humidity, it can be overwhelming, which is why tile can be beneficial to cool your feet off. As a water resistant form of flooring, tile generally has a protective layer over it to keep it resistant from any outside forces. This means that tile flooring is impervious to any penetrations from stains and water. You won’t have to worry about damaged tile flooring because the protective layer over the tiles will be resistant to any outside forces, especially high humidity conditions. Essentially, living in Florida you can expect to be exposed to high humidity conditions, which is why you should ensure that any flooring option you choose is resistant to moist environments. In addition, the protection from high humidity environments also makes tile an ideal flooring option in areas such as kitchens and bathrooms. Tiles are water resistant and they are the best option for areas of your home that are susceptible to moisture, but it’s vital that you take the proper precautions so that your flooring is sealed and protected. This type of flooring will keep your floors from getting damaged and are water resistant for years if you take care of them. On the other side of the spectrum, there are unglazed tiles, which are always a great choice, but you should take extra precautions with these because they don’t come with a protective layer for water resistance. An unglazed ceramic tile needs a seal that will keep it from being harmed by liquids. Yes, not all tiles are treated the same! One of the portions of tile is the grout lines between each one. The grout lines are the part that is susceptible to the humidity, heat, and the moisture. If you want to make sure that your tile flooring is absolutely water resistant, then it’s vital that you seal the grout lines so that everything is impenetrable. By sealing the grout lines and making sure the unglazed tiles are sealed, you’ll notice that the water won’t seep into the flooring and grow mold or weaken the installation. If you are busy and hate cleaning, then tile flooring is the right choice for you. Tile flooring is easy to take care of because debris, stains, and other liquids are resistant to the surface. Cleaning can be a nuisance for those who have animals, kids, or just live busy lives, which is why having an easily cleanable floor is always a benefit. Dirt, liquids, and other stains can be easily wiped and moped up. Unlike other types of flooring, you don’t have to spend once a week cleaning or every day trying to pick up each piece of dirt that has been tracked in. Instead, you can just focus on regular maintenance. That means that you don’t have to do anything extra except for the regular forms of maintenance that you already do. From sweeping to vacuuming with a soft brush to pick up floating dirt and other debris, tile flooring maintenance is downright easy. All you need to clean your tile flooring is a vacuum, mop, or a broom to sweep up any dirt that’s been tracked in. When it comes to stains, you don’t have to worry about really putting elbow grease in there unless a stain sets in. If you notice that a stain has set in, then take heavy duty cleaners to the floor and eliminate that worry you might be feeling about damaging the material because like we mentioned, it’s resistant to stains. Maintenance in comparison to other types of flooring isn’t as vital because tile is so much more durable, which is another advantage to having this type of flooring. As we mentioned above, durability for a tile floor is very important. Tile flooring can last decades without being damaged. While it’s not impossible for tile to crack or become damaged, it takes a lot of effort. Tile is very tough to damage or to crack. It would take a lot to ruin the tile in your home. If you purchase the right tile and you have the right installation, then you could be looking at tile flooring that lasts decades. The average amount of tile lasts for at least one to two decades and maybe even longer if you take care of it properly. 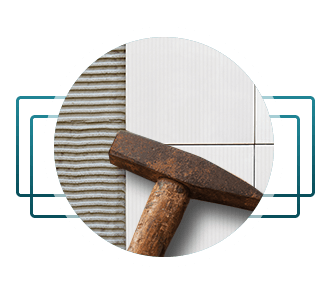 Even if one tile cracks, it’s very easy to replace that single tile because of the installation process. Replacing one tile is very simple and when you hire the right flooring company for the work, we’ll make sure to finish the job as quickly as possible. Durability in tile is very important because tile is generally put in high traffic areas or regions of your home that tracks in a lot of dirt and other debris. Tiles can be placed in rooms such as the kitchen, bathroom, or the mudroom. Each of these rooms has high traffic, which is why it’s vital that you put in a flooring option that will withstand those heavy, dirty shoes and items dropping or accidents occurring. Another advantage of tile is all of the options you can choose from. Tile doesn’t just come in one form anymore. You don’t have to worry about tile that is one boring color. Instead, due to the new techniques of tiles, you can expect printed tiles in many different forms. You can mix and match, create a motif from the designs, take advantage of accents, or create a beautiful pattern that will set your home apart from anyone else’s you may know. In addition, you can create a look that is modeled after hardwood or go after a more natural look with stones. Another option you have at your disposal is creating a look with different cut tiles. You can create a look from rectangles, planks, and triangles from the tiles to make the look a bit more contemporary or vintage depending on what you want to go for in your home. The options are endless when you use tiles because you can put them in a variety of different ways to create a unique and individualized look for your home. Our last advantage to tiles is pricing. Everyone loves a good deal, especially on renovations in your home. Most refurbishments in a home are expensive. You see something you want to do on television, the Internet, or in a magazine, and when you begin to look into it, the project will cost you a lot of money. When it comes to installing tiles, you won’t be going over your budget. Instead, you can expect to get a bargain on tiles. Whether you decide on more unique tiles or you just want standard one, you’ll be able to find tiles that will add value to your property and a great deal. Each type of tile is different, so it’s best that you contact 2 Day Flooring to learn more about the pricing for tiles. Like with any major decision you’re making for your home, you have some considerations to keep in mind. While those above advantages will help you decide if this flooring option is the right course for you, there are some considerations you should keep in mind when deciding if tile flooring is the best option for your home. The first consideration to keep in mind is how hard and cold tile flooring can be. Tile flooring in homes in the north can create a chilly, stiff environment, especially in the winter. However, since we’re in Florida, that cool, compact feeling can be refreshing first thing in the morning, especially on a summer day. Since it’s Florida, cold tiles aren’t as big of a shock to the system because of the humid heat that takes place all year round. Another consideration to keep in mind is the installation process. While it’s an easy process for the professionals, if you decide to do it yourself, it can be overwhelming and confusing. Tile is a material that is hard, heavy, and cold, which means that installing it can be difficult. In addition, when you incorporate all of the materials and tools you’ll need such as mortars and grout as well as the installation tools, you can spend quite some time trying to figure out how to ensure your flooring looks fantastic. Tile installation is a time-consuming process that’s best left up to the professionals, especially because you don’t want to make a mistake and then have to figure out how to fix it later down the line. This consideration is vital because a professional will be able to handle the project thoroughly, so you don’t have to worry about mistakes being made and time being lost. While it might seem like a better option to do it yourself, take the time to consult a professional. As we covered, maintenance is one of the benefits of tile flooring. If you dislike cleaning, but you love having a clean home, then tile is the right choice for your residence. Tile flooring is sturdy and a long lasting investment, so you won’t have to worry about the look of your flooring or the value of it. For a tile floor made of ceramic, the average life expectancy can be anywhere between 75 and 100 years. If you want to invest in something a little snazzier such as wood and natural stone, then you’ll have flooring that outlives you at more than 100 years. However, the longevity of your floor all comes down to how often you clean and do maintenance on it. Cleaning the tiles of your floor includes sweeping, dusting, and vacuuming consistently. Maintaining your floors is a proactive way to make sure they are gorgeous all the time and last longer. Keep in mind that some debris can create an abrasive approach to maintaining your floors, so it’s vital that you practice cleaning methods for prevention. For a deeper clean in your home, use a damp mop and a cleaning solution that’s natural to get inbetween the nooks and crannies. Tile comes in all shapes and sizes. You can choose to go more ceramic or you can go with porcelain. What makes tile such a versatile choice for your home is that it has different textures, patterns, colors, and styles. If you want to add something a little different to your house, then this flooring option can be exactly what you need to add some pizzazz. When it comes to the types of tile that you can have in your home, it’s best that you discuss it with a professional to figure out what would be right for the room you are renovating. Tile can come in marble, encaustic cement, wood look, porcelain, stone, slate, quartzite, wood, and more. For a full list of our options, call 2 Day Flooring. Style is very important when it comes to tile because it’s what can bring the entire room together. You can decide to go with a more chic look, colorful, or you can go with an aesthetic that’s centered around stone and wood. Whatever you decide for the room you want to redo, it’s vital that you establish what type of look you’d like to go for. For instance, if you’re redoing your bathroom, then you’ll want more of a chic, traditional, or even a rustic look. If you’re tired of staring at those tiles in your patio, then try out a more casual look or something that’s more refined to add a more versatile element to your home. Keep in mind that there are an unlimited amount of styles of tile, but it’s important that you decide the look you want before you begin to focus too much on the other factors when redoing your home. Like styles, you can decide to go with a pattern for the tile. If you don’t want to stick to a more chic, clean look, then adding a more unique pattern in your bathroom, kitchen, or patio might be exactly what you need for a different element in your home. The patterns that you can institute in your home vary from mosaic tiles to a more traditional look with black and white tiles. Whether you want a more traditional look with the similar looking tiles or you want a pattern with different colors, we have the experience to help you determine if the pattern is the right option for your home. 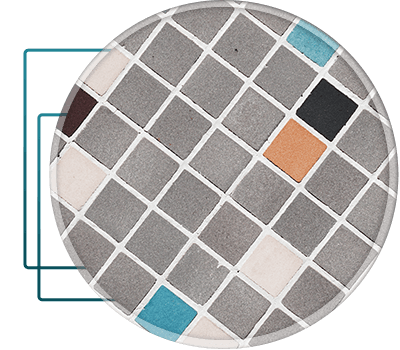 As we mentioned above, there are several different colors you can choose with tile. You could decide on a more natural look with stone, a hardwood look with tiles that look like wood, or you can go more traditional and incorporate vibrant tiles. From beautiful blue-grey to a cream, tiles come in a variety of colors that will spruce up your home. It’s important that before you decide on the colors, that you take into consideration the style, patterns, and the look you’d like to go for. For example, if you want a more rustic look, then it’s best that you choose woods or stone looking tiles instead of a bright cerulean.